The 44-year-old Nepalese mountaineer has broken her own world record for the most Everest summits by a woman. Kathmandu: A 44-year-old Nepalese mountaineer has broken her own world record for the most Everest summits by a woman after scaling the world's tallest peak for the eighth time. Lhakpa Sherpa, the mother of three, conquered Mt Everest for the eighth time from the North Col (Tibetan side), according to expedition organisers. "Lhakpa reached the summit point at around 6:35 AM yesterday," Mingma Gelu Sherpa, Managing Director at Seven Summit Adventure, was quoted as saying by The Himalayan Times. She bettered her own record of scaling Mt Everest seven times. Before leaving for Tibet in mid April, Lhakpa had said that she wanted to show that Nepali women have the courage and endurance to perform their best despite all their hardships. She reached the summit point along with Nima Dorjee Sherpa. Born in Makalu VDC of Sankhuwasabha, Lhakpa scaled Mt Everest from Tibet side for the seventh time in the last spring season. "This time, she broke her own record," Sherpa said. 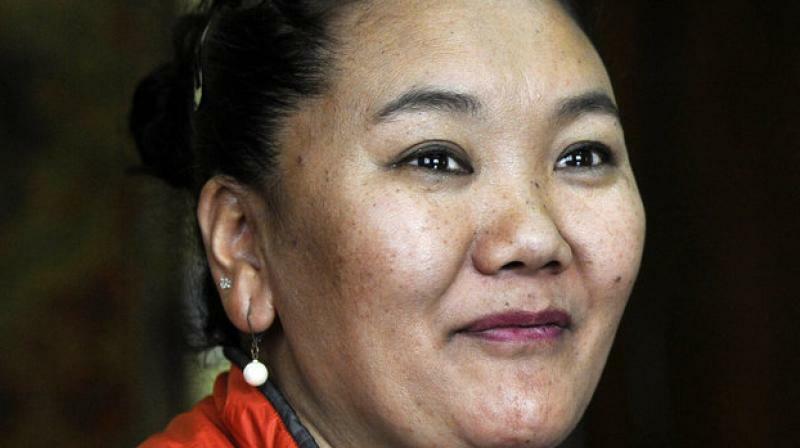 Lhakpa had reportedly scaled Mt Everest eight months after the birth of her first daughter and while she was two months pregnant with her second child, the report said. Without having any formal training on mountain climbing, Lhakpa, who grew up with 11 siblings, first climbed Mt Everest from Nepal side in 2000, it said. She wants to climb Mt Everest for 10 times, the report said. A former store worker who ended her 12 years of marriage with a Romanian-American climber two years ago, she believes in mental strength as the key to success. It is a proud moment for all stakeholders including the mountaineering community as a Nepali woman set a new record on Mt Everest, Executive Director at Nepal Mountain Academy Lhakpa Futi Sherpa said.